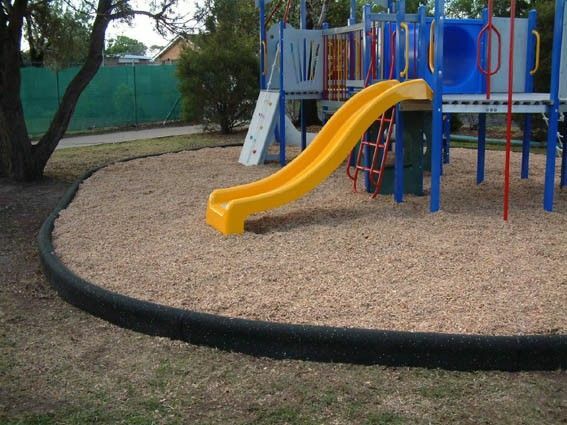 Safety Edging is ideal for use around sandpits and loose filled playgrounds such as bark and sand. The Safety Edging is secured to the substrate with internal pins and joined together with Sikaflex Adhesive. 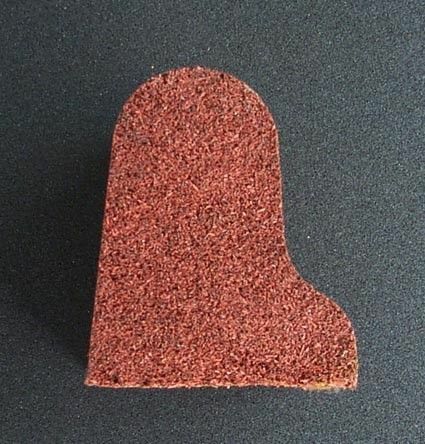 The edging is engineered for fast, simple installation with pre drilled holes for pins and they can bend not only around tight corners but also up hills. No expensive concrete footings or excavation is required. Once installed, Safety Edging looks like a continuous edge. For those tight angles we have 90o corners available. Safety pads add value to any Playground they are low maintenance and are perfect for the end of Slides, under Ladders and at the bottom of fireman poles. NO More Holes or Puddles. Quick and easy to install this innovative kit is cost effective over the alternatives and offers an excellent lock-down security feature. Safety Pads reduce the on-site maintenance costs associated with the constant re-levelling needed in loose fill playground under surfacing. 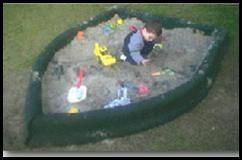 They effectively stop the excavation of loose fill materials under high wear areas whilst providing a consistent height, stable surface for children to land on or step from. The standard height is 200mm but additional layers can be added to achieve the required height. Multi-level construction to achieve any finished height requirements. Modular top surface units to extend or widen the system. Exceeds Australian Standards requirements for all play apparatus with Certified Fall Height test certificates to in excess of 3 metres across the whole pad including the bevels and above the locking pins.